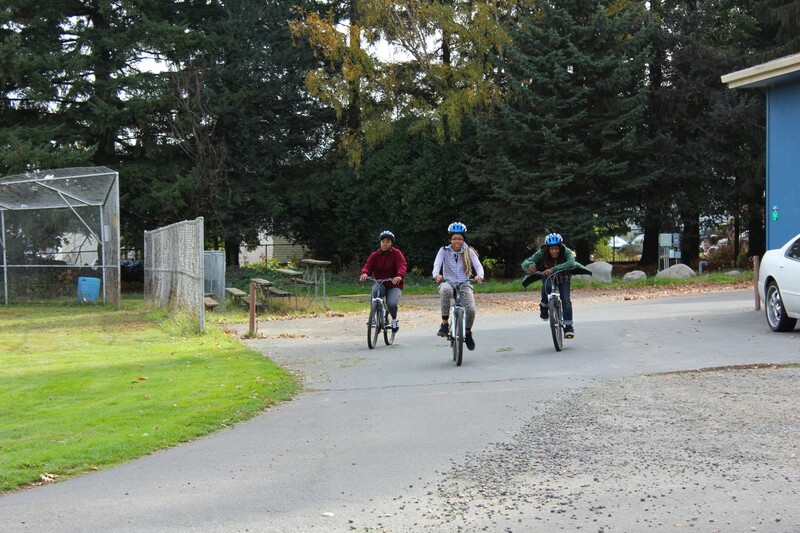 Over the last month, the Community Cycling Center teamed up with NAYA to run a three part elective series for students at NAYA. 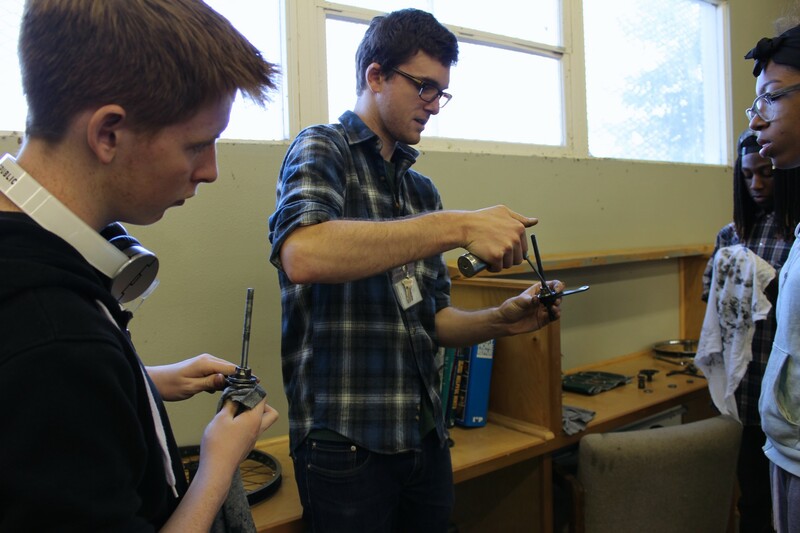 The elective series was part of a larger series called “Outdoor Adventures” taught by Ben Taylor (pictured below). 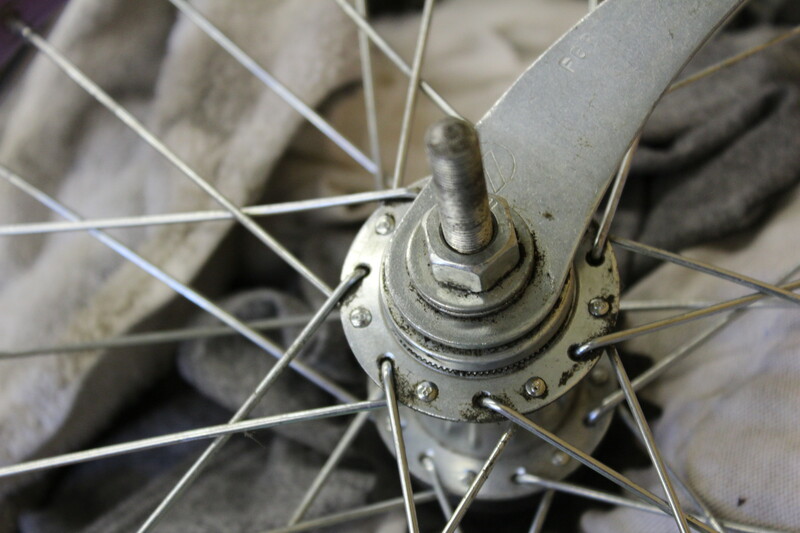 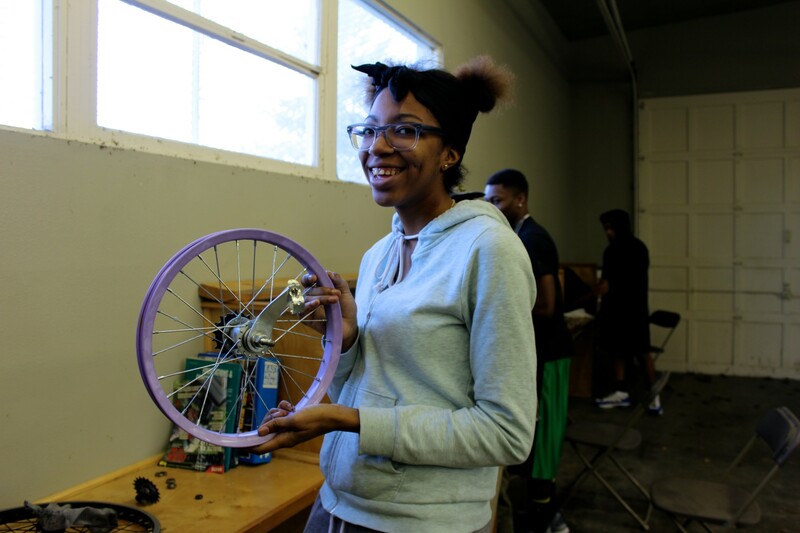 The three part bike segment consisted of one session on basic bike maintenance and rules of the road, one session where the students rode out to Community Cycle Center and received a tour of the bike shop, and the last session was a wheel building workshop where the students were able to work on bike wheels for the Holiday Bike Drive! 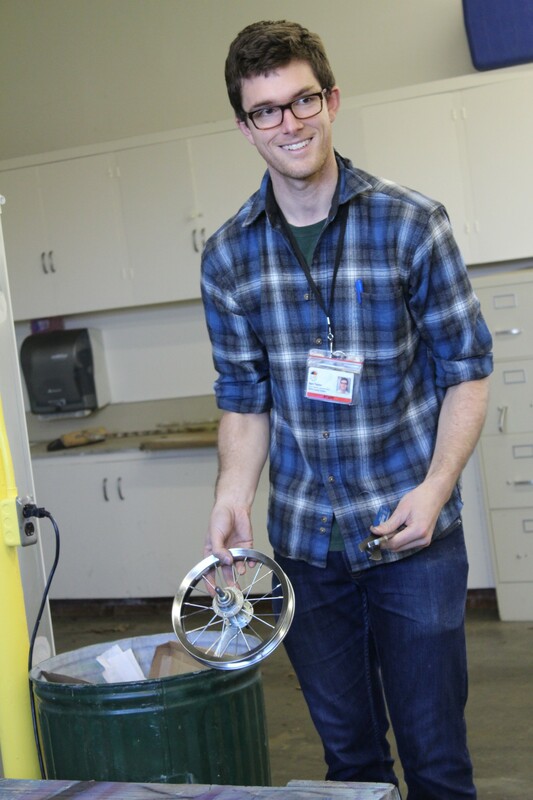 Ben Taylor commented on the importance of this program because it promotes “engagement with the community, introduction to a potential form of transportation and recreation and for some students an opportunity for future volunteering”. 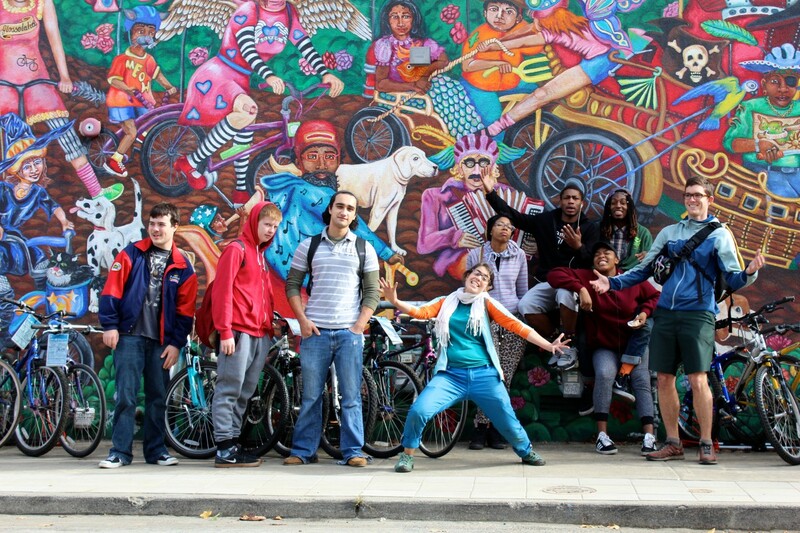 This program gives NAYA students an introduction to not only biking, but also the community organizing that happens around it. 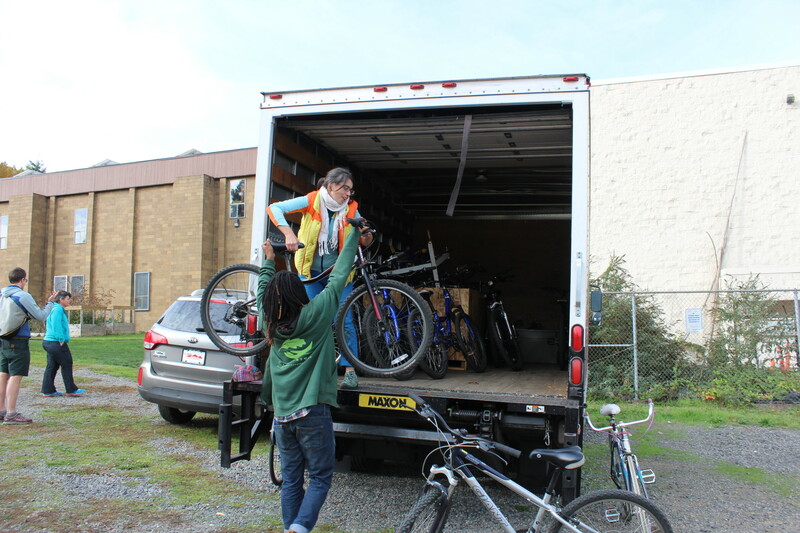 Community Cycling Center is a great volunteer opportunity for students to get involved in. 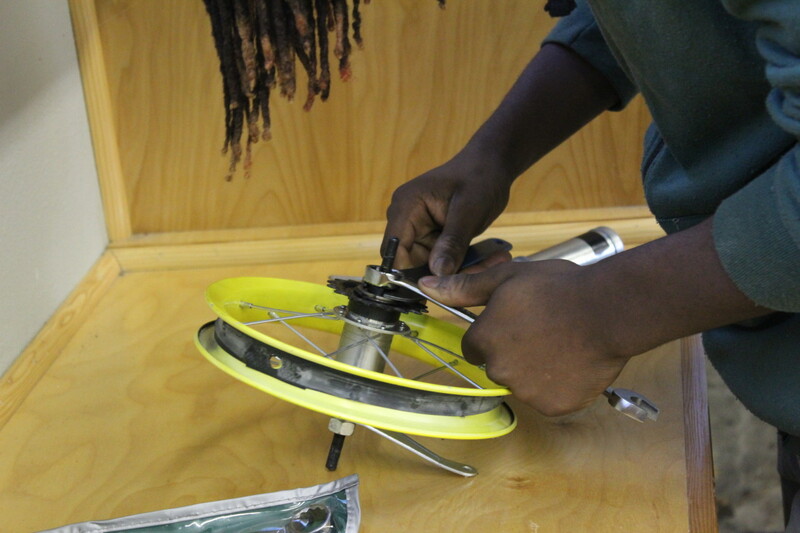 Anakin, age 15, said he liked the wheel building because “I enjoy working with my hands and I know I’m helping the community”. 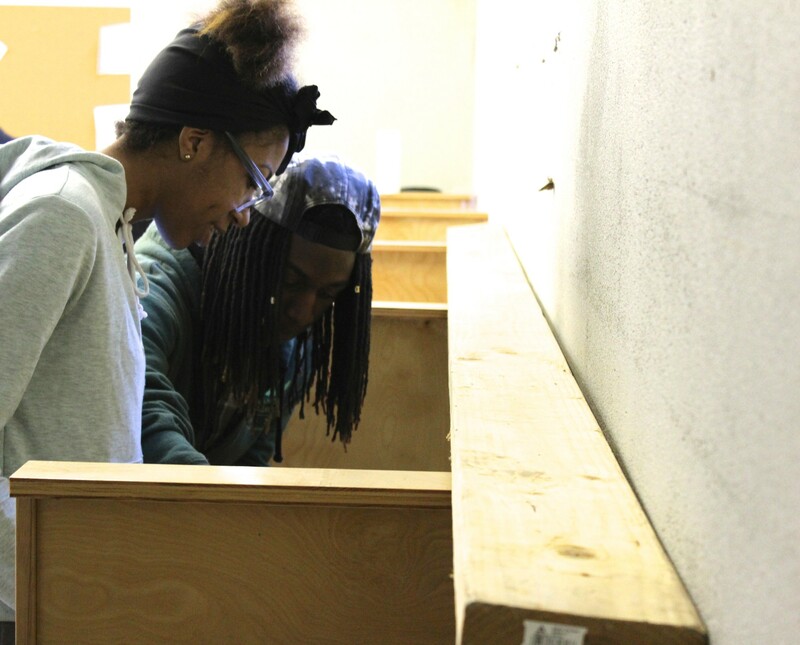 In addition to the agreement about the benefit of working with their hands, there was a shared sentiment that students wanted to go out to volunteer nights and get their hands greasy again.